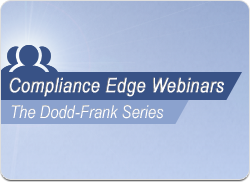 More than just another “Dodd-Frank rehash”, this webinar includes how to’s and guidance for developing a practical, step-by-step plan for understanding and preparing for the LO Compensation Rule. You’ll learn what is required or suggested to evidence compliance with this rule resulting in minimal impact to your business. 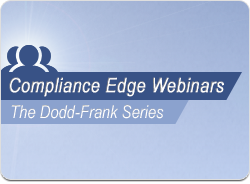 Featuring speakers with compliance and legal expertise, the webinar will offer focused perspectives and hands-on experience with Dodd-Frank compliance.